We seek to facilitate a loving, vibrant ministry of sharing God's blessings with the nations -- one that abundantly sustains present international partnerships and lavishes love on cross-cultural workers through prayer, monetary support, relationship building, and provision for other spiritual, physical, and emotional needs; develops avenues to serve our foothill communities; seeks new ways to extend God's love as our Father leads; and effectively coordinates with other churches and organizations to accomplish these assignments. 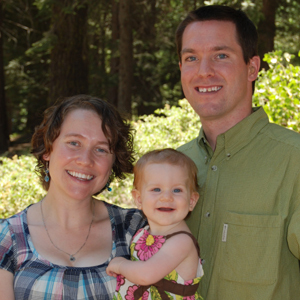 Zach and Sara Prieb and their 2 young daughters, Ellie (4 yrs.) and Mikayla (2 yrs. ), are currently learning the language and culture of Asia Pacific with New Tribes Mission. Having reached a high enough language proficiency level, the Priebs were moved to the town of Manado on the island of Sulut to continue their studies and begin ministry activities at the Indonesian Missionary Training Center for Tribal Missions. Here, they study with Nationals and tribal people who will continue evangelizing in their home towns. Zach has been asked to start a skills program, which would allow Zach and Sara to be directly involved with helping tribal works, eventually opening doors to new works through a “community development” program. Our church contributes $100 per month to their support. You can stay connected with the Priebs through their blog at: http://blogs.ntm.org/zachary_prieb. (PO Box 315, Friant, CA 93626; Email: zprieb@gmail.com or scprieb@gmail.com). 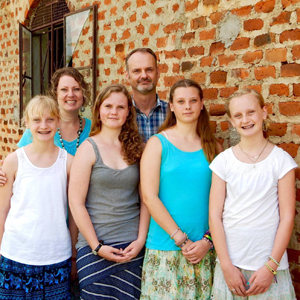 Matt and Shelley Actis, along with their four daughters, Lindsay, Kennedy, Chloe and Sophie, are missionaries serving in Uganda. They have a heart to reach out with the love of Christ in a holistic manner by sharing the Gospel not only in Word, but also in deed. They have a "come-alongside" approach to ministry for helping create Christ-centered, self-sustainable communities. This family is church-planting with United World Mission, making disciples of their group of believers, taking them deeper in the Word of God and their relationship with Jesus Christ. They have also started the Hands of Hope Foundation, a micro-enterprise project, as a practical way to serve the community. One of their current needs is a larger building for teaching the many children who are eager to learn about Jesus and the lessons of the Bible. Our church contributes $100 per month to their support in addition to the amount contributed by some individual supporters. 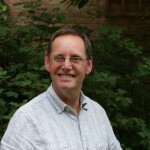 You can stay connected with the Actis Family through their blog at: http://actisfamily.blogspot.com/. (Mateo Actis, Condominio Quintas del Bosque, casa 18, Armenia Quindio, Colombia; Email:mattactis@gmail.com). Matt Del and Ari Griffith and their 2 young boys, Ezra (3 yrs.) and Silas (2 yrs. ), are currently serving with New Tribes Mission in Senegal, West Africa. Living in Dakar, they are learning French, the official language of Senegal, and the native African customs and culture of this country. After 1 ½ years in Senegal, the Griffiths are exploring options for their future ministry in Africa. Arielle has passed the required level of French and may soon be working with linguistics and the writing of a tribal language. Delwyn would like to teach the Word of God to the tribal people, eventually planting a church where evangelism would continue. Our church contributes $100 per month to their support. You can stay connected with the Del and Arielle through their blog at: http://blogs.ntm.org/delwyn-griffith/2013/. (Email:delgrif@hotmail.com). The orphanage is overseen by Pastor Enoch, who originally took the children into his own home; however a building is currently under construction to house the orphans and caretakers. Our people have pledged $640 per month for the support of 16 orphans, but the number of children has now increased. The training center develops local couples who then do evangelism and church planting in unreached tribal areas of the state of Andra Pradesh in India. People in our church have pledged $480 per month to support the recent graduates of the training center as they begin their ministries. The Pregnancy Care Center provides counseling services for women with unwanted pregnancies in an effort to help them choose life for their unborn child. Hundreds of women respond positively and many become Christians in the process. Our church contributes $100 per month. Each year families and individuals at the Church of Tollhouse fill shoeboxes with toys, school supplies and hygiene items to bring Christmas joy to children overseas who have little or nothing of their own. In 2015-6, Samaritan’s Purse will deliver boxes with the Gospel enclosed to over 11 million boys and girls in 109 countries. More than 7.4 million children worldwide have enrolled in the follow-up course, The Greatest Journey, and 3.3 million have accepted Christ as their Savior. 425 boxes were sent from 5 churches in our local area.